First and foremost I think is that in my opinion though this is a spin-off and you should be able to read it as a standalone separate series, I was missing a lot of background. There is an entire world that was built in those first three books and not a whole lot of explanation going into this ew series to make it understandable. I really felt like I had missed some important information that would have made this ultimately a five star read for me. Now the question is of course, who's fault is that? Is it mine for not having read that first series, or is it the authors for making a spin-off that is SO closely tied to the original series that it's less a spin off and more fourth book in the same series? 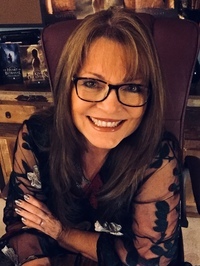 Yes, the main characters are different, but characters from that first series have quite a role in this book as well as just the world in general. I think perhaps a prologue giving us a little history would have been the perfect way to bring new readers into this world. Also, and I don't know for sure that it would have made a difference in my enjoyment of the book because I am uncertain if having read the first series would have made it more understandable, but I was confused for the longest time on the header quotes at the beginning of each chapter. Yes, it does eventually get explained but not until well over half way into the book. Having that prologue with some background might have also alleviated that confusion on my part. Second, I will be going back and finally getting those first three books from the Remnant Chronicles off my shelves and dusted. I am completely enthralled with this world and need to know everything there is about it. It is clear that the world building that occurred in those first three stories must have been magical if what Mary E. Person gave me in this book is any indication. This is one of those stories that you want to see come alive on the big screen because it's depth and richness hold a beauty that goes beyond the imagination. I can feel the dirty, the ugly, the beauty, the majestic, the wealth, and the poverty dripping off the pages and want to rich out and feel it. It's all right there in my grasp, I just need someone to make it come alive. It reminded me of almost a tribal version of Leigh Bardugo's Ketterdamn and Rave and if you know me at all you know how much of a fan I am of the Grishaverse, this book brought me back to that feeling so reading those first three books is a must for me now. What did I absolutely love about this book besides the world building, (which was a little love/hate) the characters. I adored the Ballenger's for their faith, tenacity, loyalty, and family ties. I love that in the end everything they do is about protecting those they love and those they serve. Does that mean they always make the right choices, no, as you will see in this story, but in everything they do they do it with good faith and with the belief and desire to protect those in their care. Jase Ballenger, is the perfect YA Fantasy hero. Is he good, is he bad, is he a little of both? He's handsomely rugged, devoted to his family and role as leader (Patrei), he's a young man thrust into an almost impossible situation but determined to continue his families legacy. Kazi, she's an amazing heroine. She's fierce and independent. She's bold, daring, beautiful, courageous, righteous in her goals, (not always a good thing) determined, compassionate, caring, and though she won't admit it a little bit broken and lost. It makes for a heroine that you will absolutely adore and want to cosplay as soon as you can, lol. She's the girl who takes back her life the only way she can and she makes a meaningful life for herself and though that others by using her abilities to protect and care for them. She and Jase are so much alike that it leads them through ore than a few difficulties but it makes them even more wonderful as a team. I loved these two together. They are just a sweet young couple, both trying to find their way in the world and make their own mark while protecting those in their care. I loved how quiet they were when they were together, when the outside world wasn't barging in-between them. How peaceful and loving they can be. 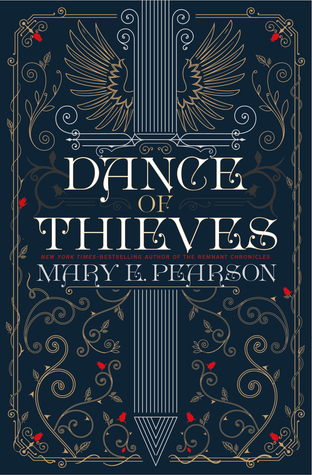 Sadly Mary E. Pearson couldn't just give us that could she, no there has to be suspicion, intrigue, lies, truths, and a whole lot of chemistry thrown in that just makes you swoon and fall for these characters hard. All the characters were amazing, the evil ones either smarmy and inept or conniving and nefarious. You won't love to hate these characters, you'll just hate them and I love a good villain that is simply a villain, one you know is just plain awful and deserves everything they have coming to them. The other secondary characters, the family of Ballengers, the other Rahtan that are members of Kazi's team, I loved them all. They are all well written with character descriptions that don't leave them in the shadows, but as true players within the story. Though Kazi and Jase are the main characters the others play a vital role in almost every aspect of this story. I am hopeful that with the end of this first book and the way it ended we won't be missing out on seeing more of each of those charters in the future. Clearly we will get more Ballengers, but I don't want to lose out on the rest of the Rahtan either, they were all wonderful members of the story and I need more of them. If you are a fan of the Remnant Chronicles than I think it is easy for me to say that Dance of Thieves is a must read for you. You will throughly enjoy this book! If you have never read the first series, you can pick up this one and dive in but, as I mentioned earlier there is a lot of backstory about the world that you will be missing out on and I highly suggest reading those previous books first, just to make your enjoyment of this book and series all the better. Also, why do I note 14 as the starting age on this one (remember this is all subjective) it is simply due to a little bit of "Did they do it" talk. If you've had 'the talk' with your younger readers than I think this would be great for an even younger pre-teen, but if not just know it's in there and comes up a few times.